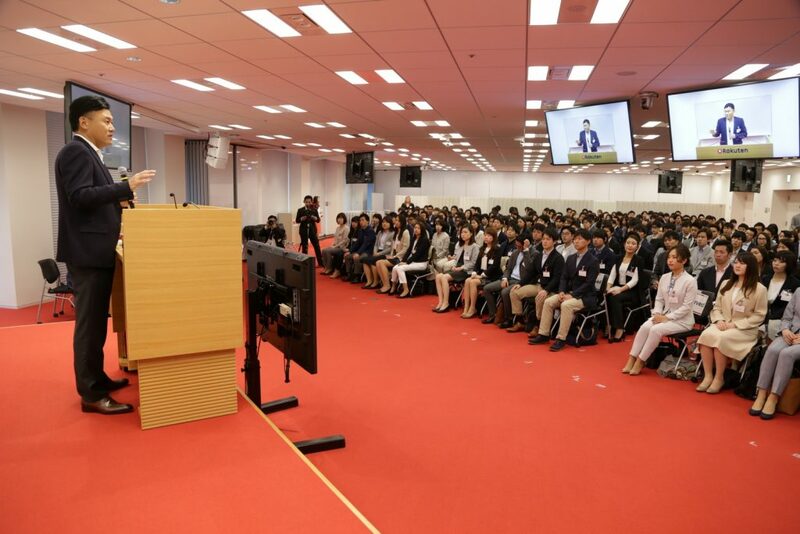 Photo: Rakuten Chairman & CEO Hiroshi "Mickey" Mikitani (center) and other executives pose with the fresh hires. 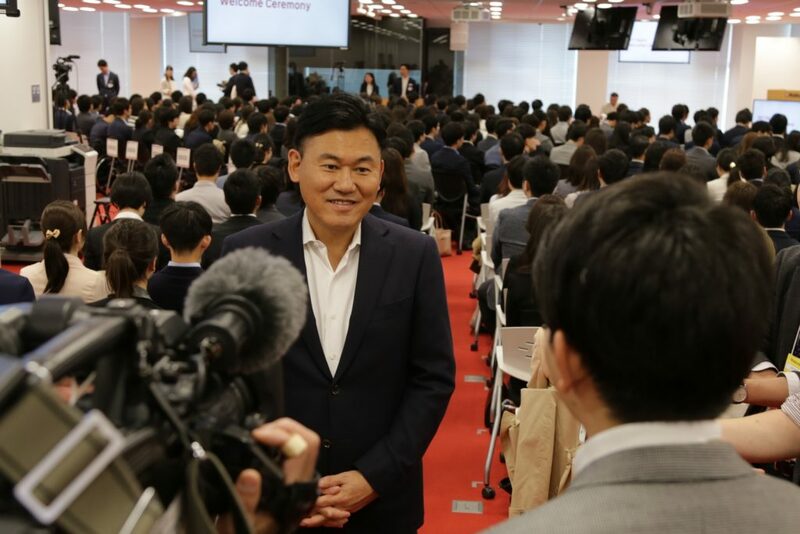 Mickey welcomed the group with a speech, touching upon his own career, how he came to found Rakuten, and the history of the company. He stressed the importance of looking to the future when thinking about business – of thinking about how specific industries will look 10 years down the line. 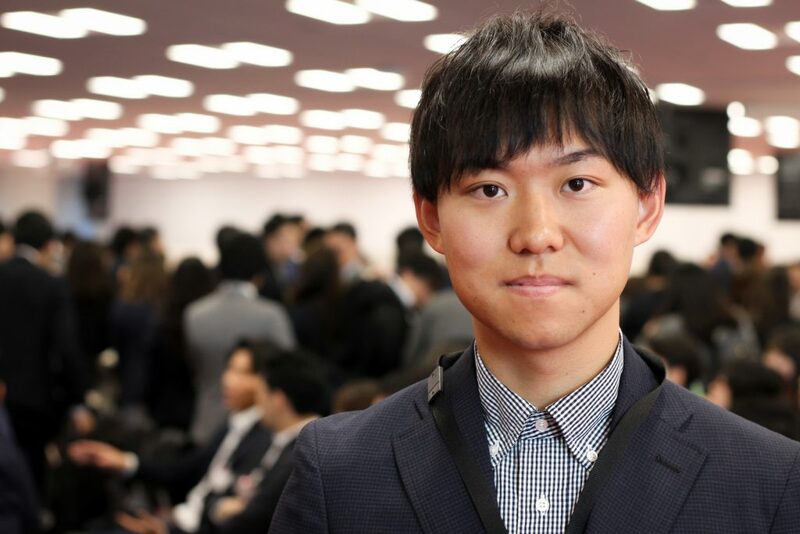 “I want to create a better world through internet services,” said Rio Otsuka, who represented the group by giving remarks at the ceremony. 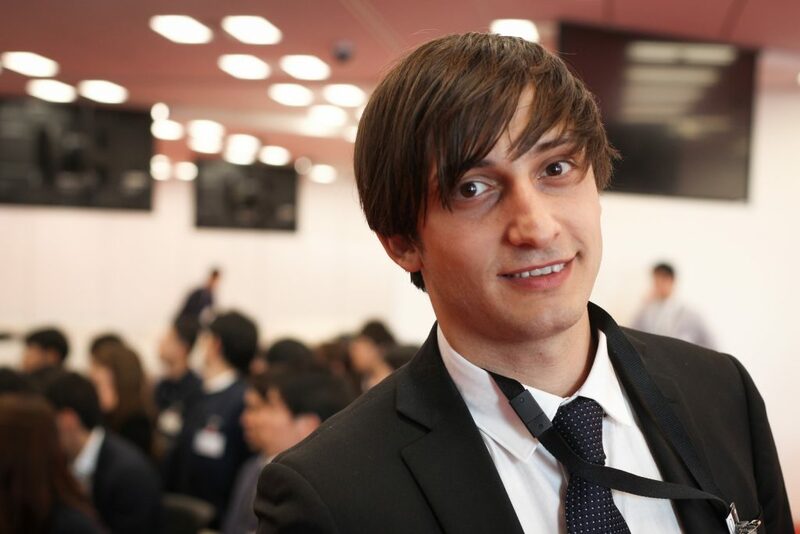 “Keep challenging.” Takuya Fukuda is looking forward to valuable experiences and personal growth while at Rakuten. 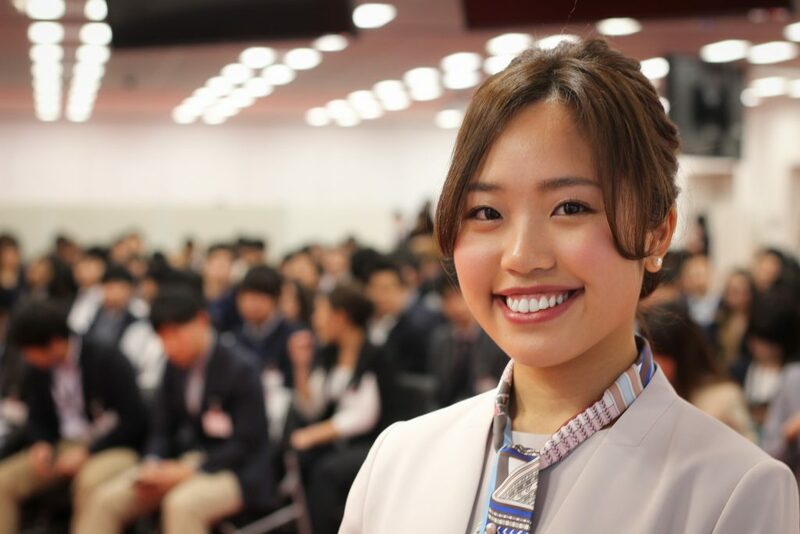 “Mind the gap, fill the gap!” An entrepreneurial mindset like this one make Kaede Morita a perfect fit for the Rakuten business environment. 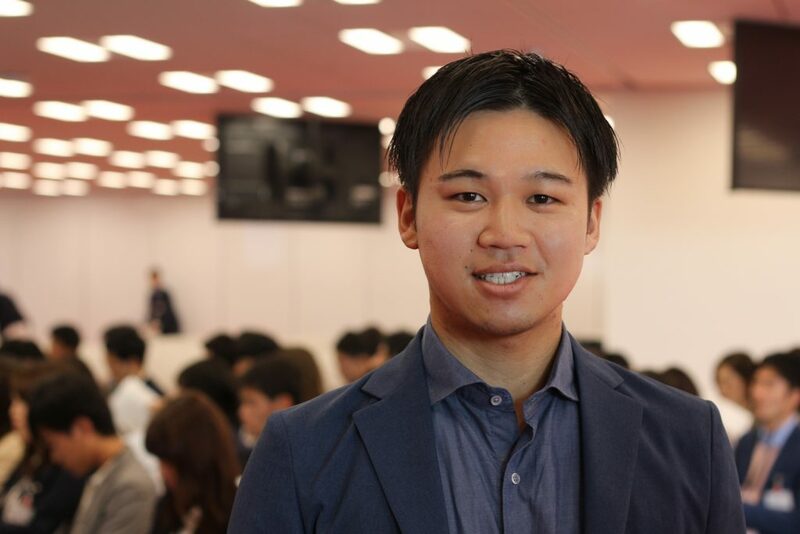 “Achieve my goals.” Echoing one of Rakuten’s five brand concepts, “Get Things Done,” Yuto Yoshida is bringing his complete commitment to his Rakuten career. 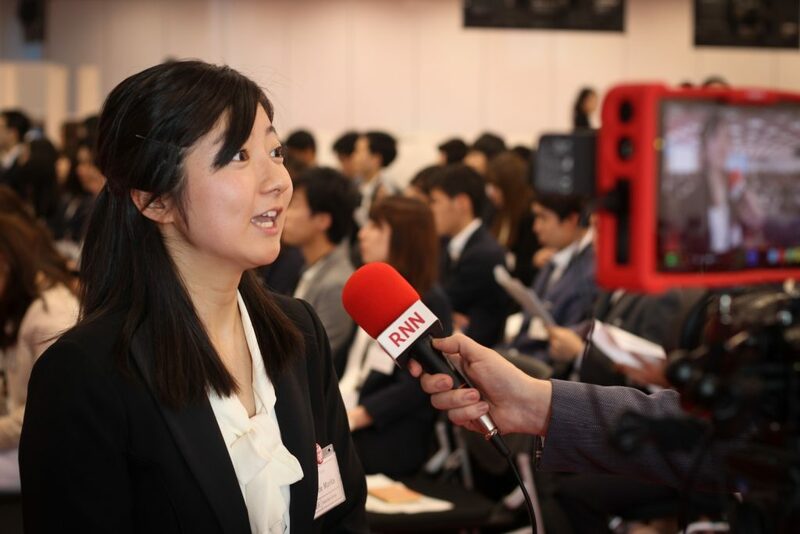 The beginning of the financial year (April 1) is also the traditional season for welcoming new university graduates to Japanese corporate life, and local media come out to cover the day’s events. 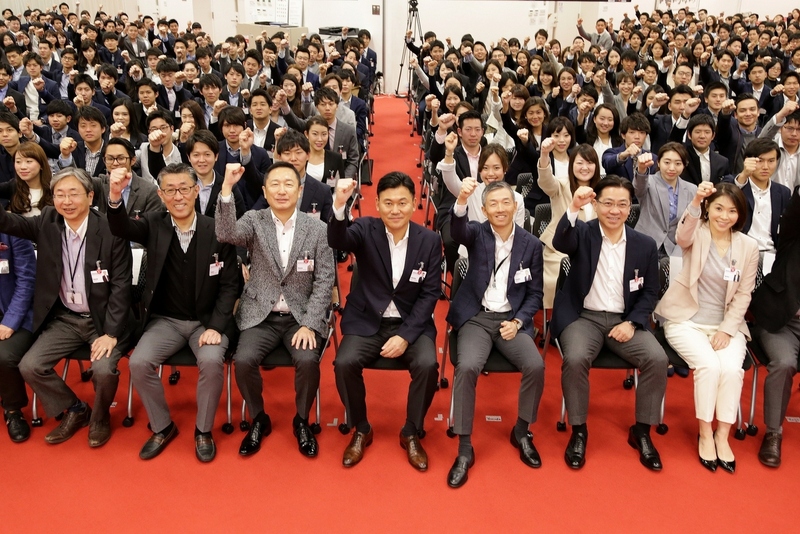 The new graduates wrote their goals on colored paper, and held them up to form the letters “R20,” celebrating Rakuten’s 20th anniversary.